To supplement all the great advice on websites from the Sitejabber community, Sitejabber is also embarking on a tour of Internet pundits. These folks are all “Internet experts” in their chosen domains, and they’ve been kind enough to share some of their wisdom with us as they help us navigate the best and worst of the web. We hope you’re as excited as we are. For almost five years now, Larry Ferlazzo has been an internet sensation among educators. He has established himself as a leading expert in nearly all things related to education websites. By day Larry Ferlazzo teaches English and Social Studies at Luther Burbank High School in Sacramento, California. By night he maintains his increasingly popular education blog. It’s unclear when he sleeps actually, as anyone who subscribes to his blog knows the extent to which Ferlazzo scours the world wide web for relevant teaching resources for the benefit of his students and readers. In this interview, we ask him about his perspective on the role of technology in education, along with his favorite website resources. In addition to his blog, Larry Ferlazzo has written two previous books, Building Parent Engagement in Schools and English Language Learners: Teaching Strategies That Work. He has won numerous awards, including the Leadership for a Changing World Award from the Ford Foundation. He also was the Grand Prize Winner of the International Reading Association Award for Technology and Reading and was given The Education Partnership Award by the College of Education at California State University, Sacramento. Ferlazzo’s articles on education issues appear regularly in the Washington Post, Teacher Magazine and The Huffington Post. 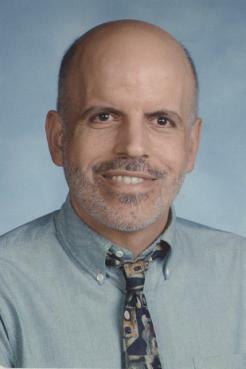 In addition, his work has appeared in The New York Times, Educational Leadership, Social Policy, and Language Magazine. Larry was a community organizer for nineteen years prior to becoming a public school teacher. He is married and has three children and two grandchildren. To what do you attribute the growth of your blog? 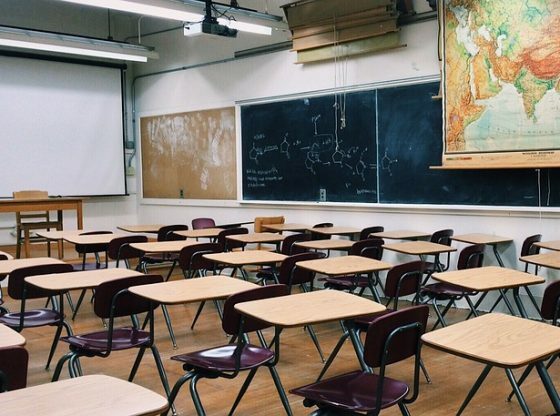 Larry Ferlazzo: I continue to primarily see the blog as a place where I can organize resources I use with my own students, as a vehicle where I can help myself think through my own teaching practices, and as a tool to try to influence the discussion on more structural school reform issues. I think those three areas speak to what many other teachers are trying to do, and they relate well to what I write. I think readers also recognize that I am interested in learning from them, too — I don’t think people really respect anyone who believes they have all the answers. How do you think the internet has contributed to the field of education? The Web offers educators the opportunity to connect with others from around the world — to learn from others, to create connections between students in different areas, to intellectually “stretch.” Not only does it result in better teaching, but I also suspect it will lead to people staying in the profession longer — the isolation of the classroom can be pretty draining at times. With the exponentially increasing number of websites and online resources, how do you go about evaluating a web resource to feature on your blogs? Can I learn how to use it within one minute? Can a student who is an English Language Learner or someone not very tech savvy learn how to use it within one minute with guidance? Does it provide some value-added benefit, or can the same thing be done in the classroom with pen and paper? What is a trend or idea that you look forward to in the upcoming years that will help parents and professionals in developing the field of education? I hope a trend is going to be recognizing that intrinsic, not extrinsic, motivation is the way to go with students and with anybody. I’ve never motivated a student. I’ve bribed, threatened, cajoled students, but never motivated them. You can really only help someone connect with their own source of motivation. You have a lot of websites in your artillery, but what websites do you use on a daily basis? Edublogs for my own blog and my class blogs; Twitter and Google Reader to connect with educators and share and find resources; Diigo to bookmark useful sites, and I have Diigo automatically set to bookmark to Delicious; I often upload photos to Flickr from my iPhone and use them in class. Though I don’t use it daily, my favorite tool for Web 2.0 tool for English Language Learners is Fotobabble, which lets students easily post a photo and a one minute audio recording. And English Central is — hands down — is the best site out there for English Language Learners. Sitejabber would like to thank Larry Ferlazzo for taking the time to speak with us and sharing his tips on how to find the best education sites online.